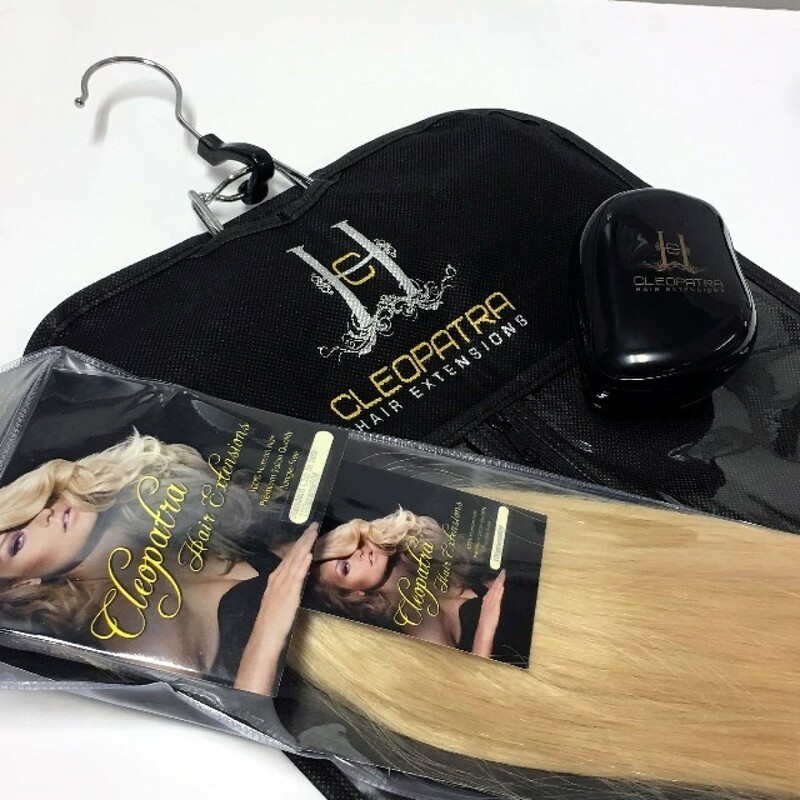 Our Cleopatra Hair Extension Storage Bags are the perfect accessory for your Clip In Set. 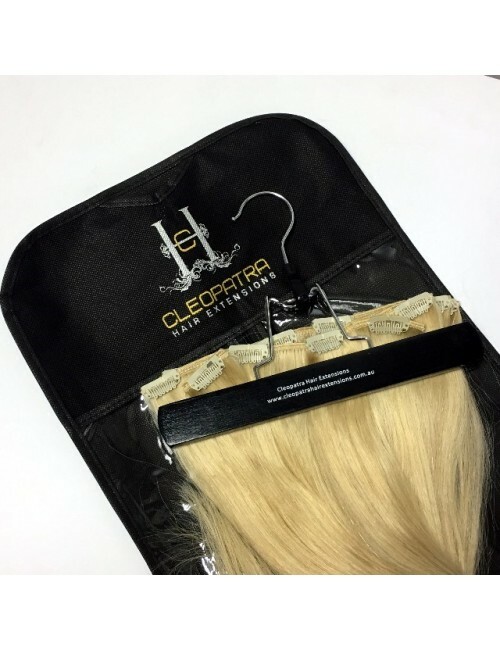 Safely store your hair extensions in the storage bag when not in use. 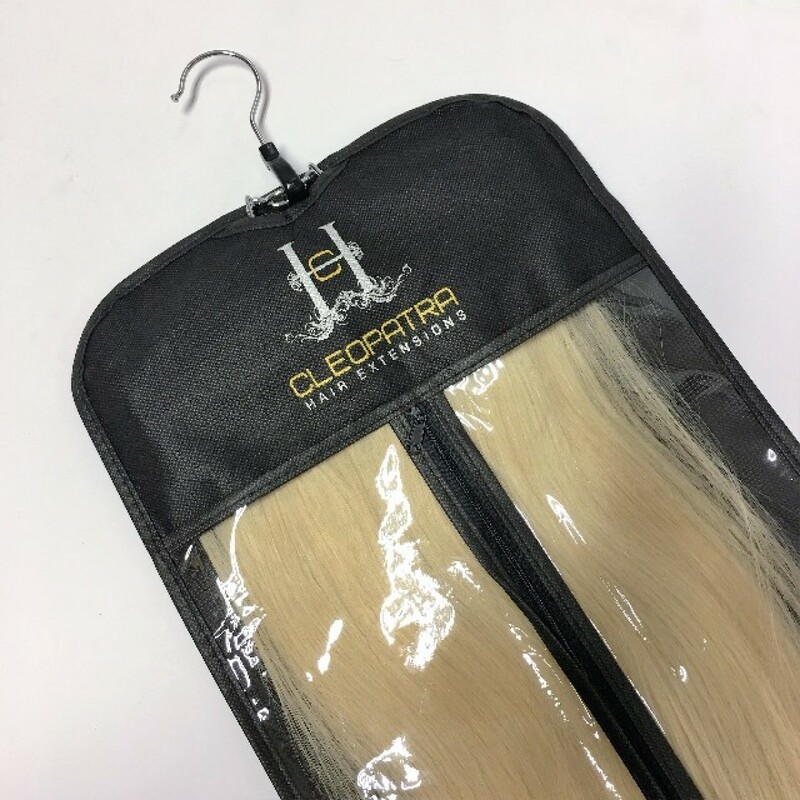 The hanger holds all the pieces in your clip in set securely in place, and you no longer have to worry about tangles, and knots. The hanger can also be used as a helping hand for styling. 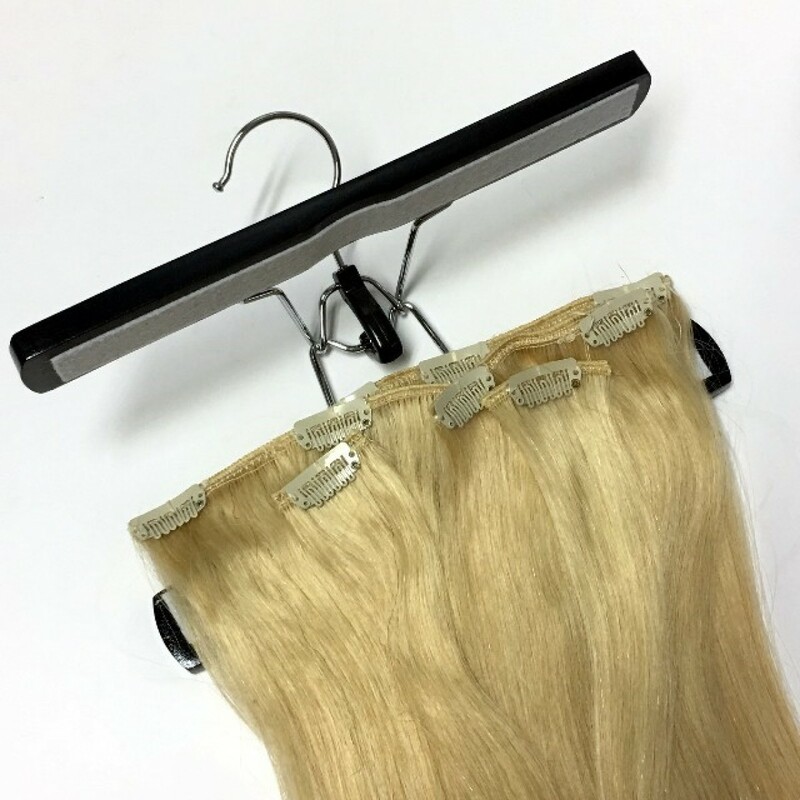 Simply clip your clip in piece inside the hanger, hang it up, and style your hair extensions. 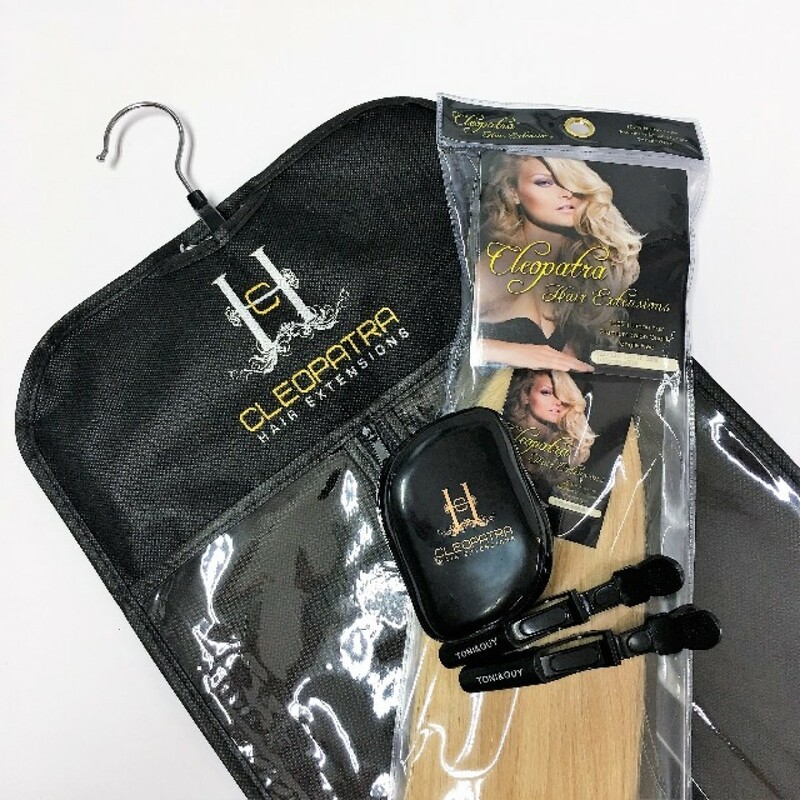 Makes curling and straightening simple and easy. 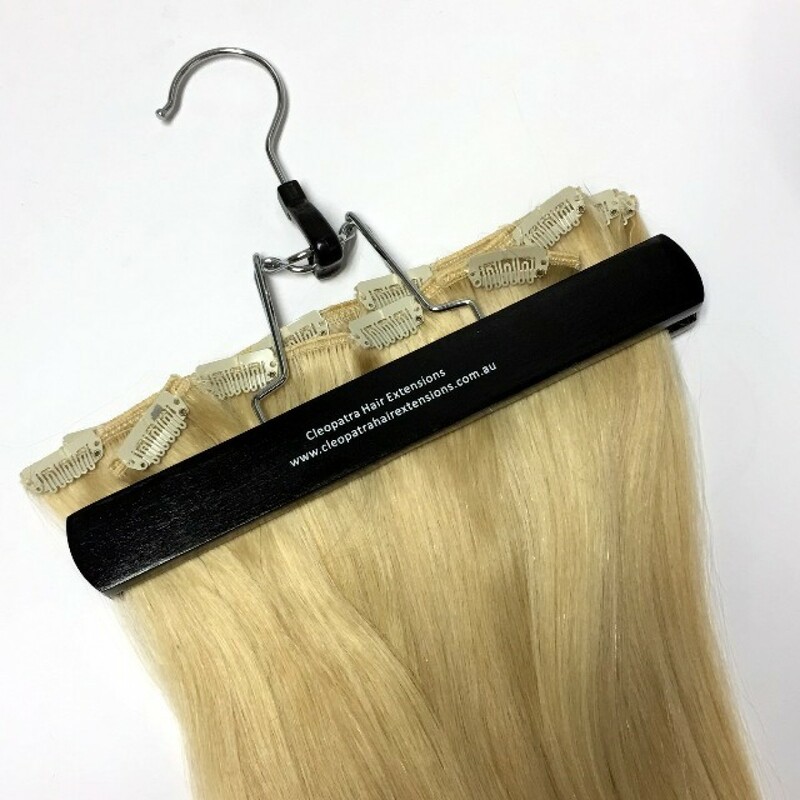 When your extensions are not in use, clip them into the hanger, place in the bag and hang safely in your wardrobe. 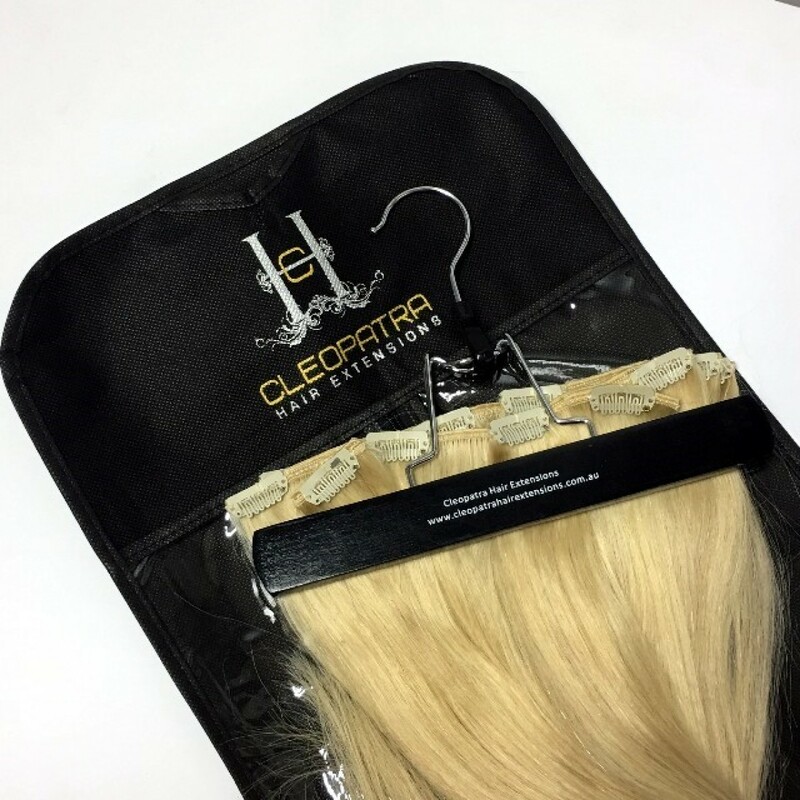 The carrier bag is also great for when you are travelling, as you can place it in your suitcase without worry about damaging your hair extensions. 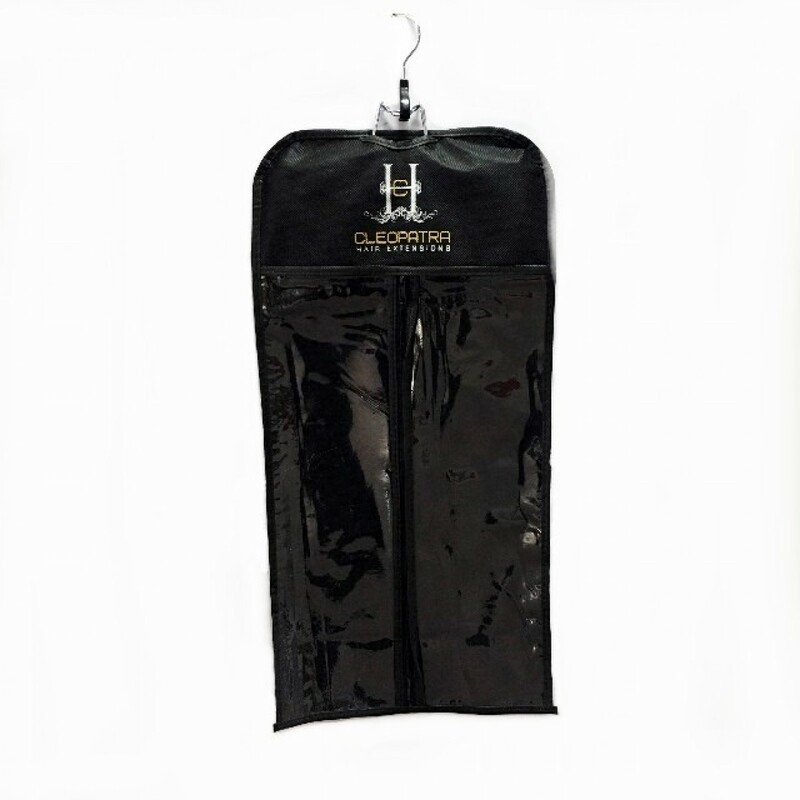 Bag has a transparent front section, with zip closure. NB: Bags no longer have the Cleopatra Logo on the front. Bags are plain black.